Has any Gulf War Veteran ever received a Silver Persian Gulf Veterans National Medal? 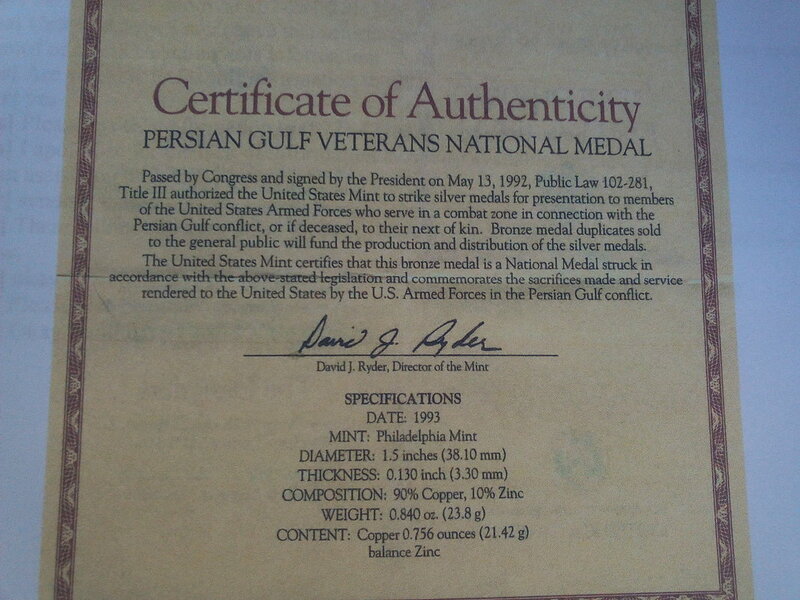 The U.S. Mint was supposed to Stamp, and Distribute a 90% silver "Medal" and give freely to all Persian Gulf War Veterans or Families of the Deceased who served in the Gulf Conflict. These Coins were paid for by the sale of the bronze coins as well as donations to the mint. Same here, never heard of this. I'm sure it's not for free. Could be, from this picture you posted, that they didn't sell enough of the bronze ones to pay for the silver ones. Doing some quick research on it now. I never even heard of it until now.